The late Charles McKean was Professor of Architectural History at The University of Dundee and one of the foremost authorities on Scotland’s built environment. He wrote books on Edinburgh and twentieth century architecture, and architectural guides to modern London, Cambridge and many parts of Scotland. He was twice architectural critic of the year for The Times, a Fellow of the Royal Society of Edinburgh and an Honorary Fellow of both architecture and geographical institutes. Many tributes were paid at his memorial service on 30th November 2013 in St Mary’s Parish Church, Dundee and the bells of the Auld Steeple rang out to herald his passing. 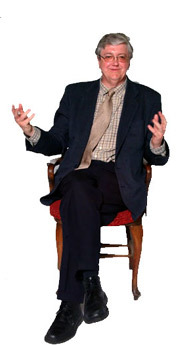 This series of leaflets would not have been produced without his abundant enthusiasm for the project. A former history teacher who later spent 26 years as the Schools Officer in Dundee Museum, producing local history information packs for teachers and working with school classes who were exploring and developing their understanding of the local environment. She also conducted heritage walks throughout Dundee – including Broughty Ferry. Her publications include Dundee by Gaslight, The Howff, and contributions to Broughty Ferry – Village to Suburb. In 2013 she contributed articles to The Memory of Broughty Ferry, written to mark the centenary of the amalgamation of Broughty Ferry and Dundee. Sadly Nancy passed away in May 2015. As director of Dundee Historic Environment Trust, Adam Swan promotes the conservation and repair of Dundee’s historic buildings. He manages the Trust’s programme of conservation area repair grants, which is funded by Historic Environment Scotland, and is prioritised towards city centre regeneration projects. The trust also has a strong focus on outreach initiatives and it is pleased to contribute to the Dundee Heritage Walk programme. Adam was encouraged early in his career by Charles McKean, contributing to Charles’s RIAS series of architectural guides. He later, as Dundee's conservation officer from 1992, organised the city's annual Doors Open Day event. Charles began his increasingly popular tours of city centre closes for the 1999 programme. Those tours begat the self-guided Dundee Heritage Walks. 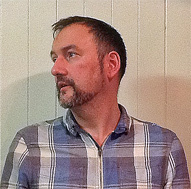 Adam also chairs the regional membership branch of the Architectural Heritage Society of Scotland, which provides other activities locally. 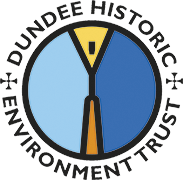 AHSS and DHET are partners with Dundee University in providing the annual series of Dundee Conservation Lectures on Tuesday evenings in the winter and spring semesters.